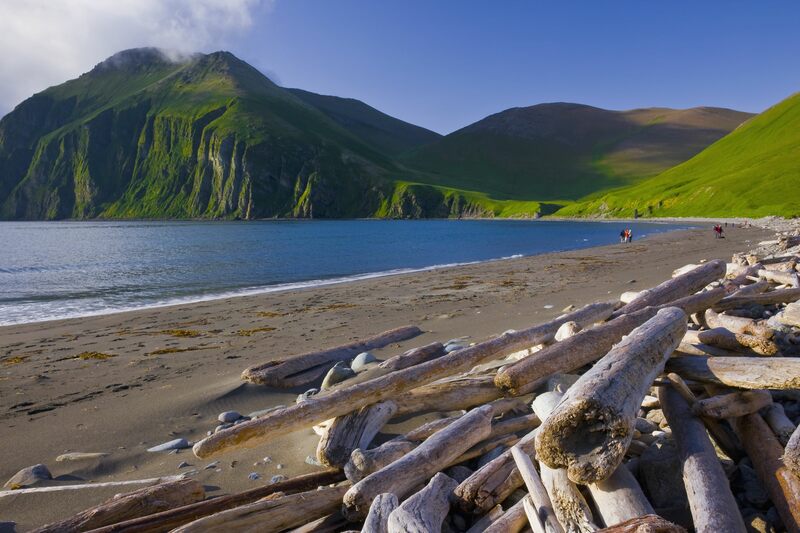 Commander Islands (or Komandorsky Islands) form the remote western extension of the Aleutian Island chain, stretching from Russian waters east of Kamchatka, all the way to the way to southern Alaska. The Aleutian chain is the above water result of a collision between the North American and Pacific tectonic plates, where a huge ring of volcanoes rises from submarine trenches some 6.5km beneath the sea surface. 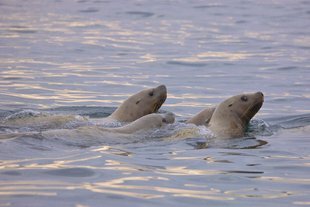 These islands have been remote stepping stones and unique meeting points for a wide range of wildlife from both North America and Eurasia. The Commander Islands themselves are formed of two main islands (Bering Island and Mednyy Island) and 15 smaller islets and rocks. 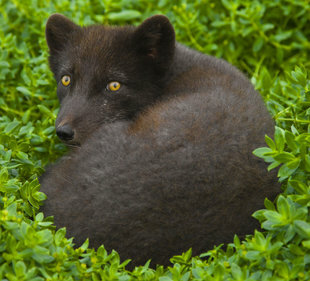 The two main islands cover a substantial 1846km² between them, which us sufficient space for 2 endemic subspecies of Arctic Fox. 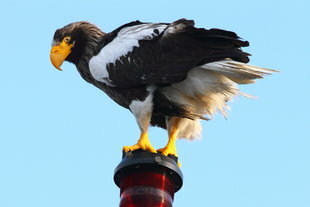 It is for marine life and birdlife that the islands are best known. 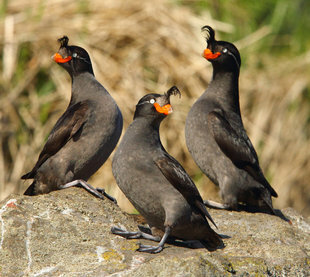 More than 180 species of bird have been recorded here around these relatively small areas of land - with more than 1 million seabirds nesting on the island's remote beaches and cliffs. 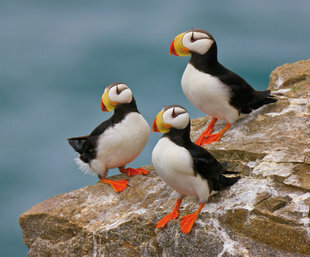 Species of note include Fulmars, Brunnich's and Pigeon Guillemots, Horned & Tufted Puffins, Red-legged Kittiwakes, the Pacific Golden Tern, Aleutian Terns, Steller's Sea Eagles and Gyrfalcons. The seas surrounding the islands are also visited by all 3 species of northern pacific Albatross - Laysan, Black-footed and Short-tailed. 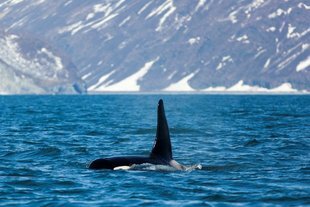 Voyages between islands and the Kamchatka Peninsula often result in sightings. The Commander Islands were first discovered in 1741 by the famous Russian explorer Commander Vitus Bering. When he first discovered these islands they were where inhabited by a huge and unique manatee like creature weighing 8 tonnes (or more) - now known as Steller's Sea Cow. These tame creatures measuring 9-10m in length (the largest of the manatee family) where hunted to extinction within 27 years of their discovery. 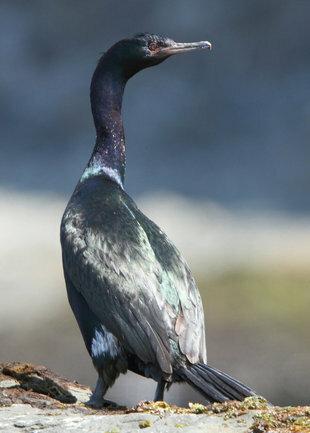 The islands' other sea mammals, despite earlier hunting, are now a highlight of the Commander Islands. 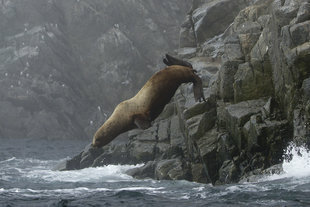 More than 200,000 Northern Fur Seals exist in rookeries surrounding the islands - along with significant populations of Steller's Sea Lions, Largha and Common Seals. 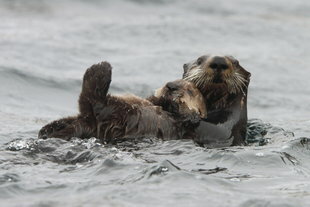 Sea Otters, declining in many regions of the northern Pacific are abundant and even increasing in the Commander Islands. 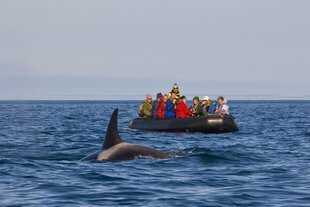 Many species of Whales migrate to the seas surrounding the islands and species regularly sighted include Baird's Beaked Whales, Humpback, Sperm Whales, critically endangered Pacific Right Whales and Orca (Killer Whale), making the Commander Islands a remarkable area for Cetaceans as a whole. Today the Commander Islands are only very sparsely inhabited - with just over 600 inhabitants recorded in 2009. A huge 36,448km² land & marine reserve now covers most large sections of the islands of the islands and its surrounding waters.